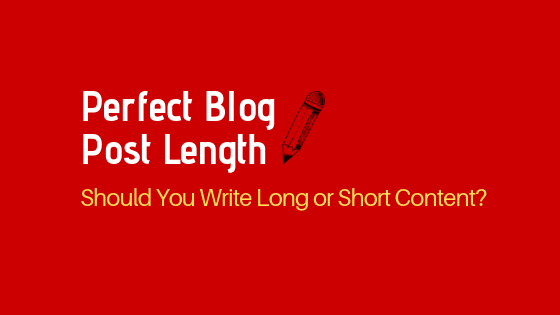 Perfect Blog Post Length- Should You Write Short or Long Content? The average Google first page result contains 1,890 words, according to Brian Dean of Backlinko. A study from SerpIQ found that 2,450-words count is the optimal blog post length for SEO. 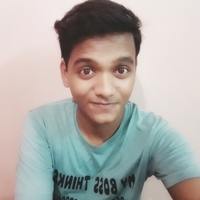 “Longer posts usually perform better on every level,” says Neil Patel, who himself posts 4,000+ words articles on his blog. So should you follow these experts to produce long-form contents? Because these are the same individuals who also advise to write articles for your audience and not for the search engines. And with human attention span now less than that of a goldfish’s, 8-seconds, small contents make more sense, doesn’t it? SEO copywriting is search engine-centric, while content marketing is more customer-centric. They do overlap with each other though. Admittedly, long-form contents do well on search engines. Ranking, CTR, and conversion stay high. To that, contents ranging between 3,000-10,000 words get the most number of shares on social media. But, on the flip side, does your target audience have the time to read such long posts? What do they want? What do they prefer? Are they looking for solutions? Do they just want to get entertained? You MUST strike a perfect balance between what search engine likes and what your target audience wants. Also Read: What's the Ideal Blogging Frequency For You? There’s a host of factors you must prioritize when deciding between short vs long form content. Do you require to post every day? (Maybe you run a news website!) In that case, can you write 3,000+ words every day? Some blogging niches require in-depth content than others. Like writing on personal finances would definitely include longer posts than say entertainment-based articles. Who are you writing for? A resourceful article for high-school teachers would be longer than an article teaching students how to do homework while binge-watching. What I Do Here at SpellOutMarketing.com? I post small contents regularly that are direct and definite in offering solutions. This values readers’ time and helps my blog get indexed frequently. So… you can post a mix of both short and long-form contents to keep everyone (readers and search engines) happy. This is a 2-minute read. For more time-saving articles, please go here.